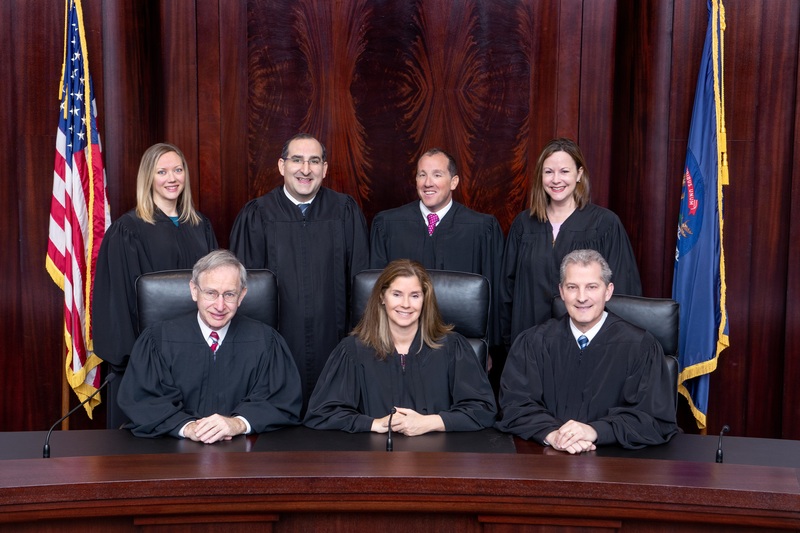 The Michigan Supreme Court Historical Society collects, preserves, and displays documents, records, and memorabilia relating to the Michigan Supreme Court and the other Courts of Michigan, promotes the study of the history of Michigan’s courts, and seeks to increase public awareness of Michigan’s legal heritage. 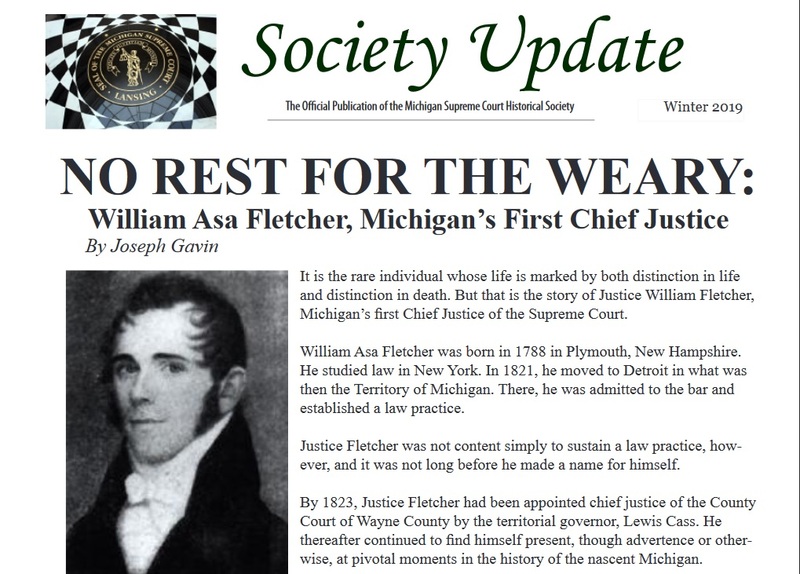 The Society sponsors and conducts historical research, provides educational materials for students, and sponsors and provides publications, portraits and memorials, special events, and projects consistent with its mission. The Justices are not only crucial to Michigan history, but to the United States and world history as well. They have served in many local government positions and organizations. They have interacted with presidents from Thomas Jefferson to Ronald Reagan. They have protected the people of United States since the beginning of our nation by serving in the Revolutionary War, through Civil War, and during the global conflicts of both World Wars.